DOH! The Deer, the Female… and Male Deer! Plus, Don’t Turn Off Potential Buyers… It Has Nothing to do with Your Attitude! Yeah, my computer has some cob webs on it. The chatter hasn’t been very chatty lately but my muse is back from holiday vacation, so here I am. Was that a run on sentence? ANNNNNYYYYWAYYYYY…… So this past weekend PETA and a host of other animal rights activists descended on the east end to protest the upcoming deer culling. In case you don’t know, cull is a euphemistic word for slaughter. Granted there is a definite over population on the east end according to experts. But there are more humane ways of dealing with this problem, IMHO. understood the sport in hunting. While some people in the area, including one uninformed politician I really dislike claim health concerns and site the spread of Lyme disease, I’m suggesting they use another excuse. There have been numerous studies suggesting the link between deer and the spread of the tick borne illness is greatly exaggerated. So without that urgency, isn’t there a more humane way to handle this whole thing? Please people remember Bambi and besides venison taste awful. So, how is the market??? Well Douglas Elliman is releasing their Q4 market report later this week. While I can’t tell you what it says ( I haven’t seen it) I can guess the news will be pretty positive. 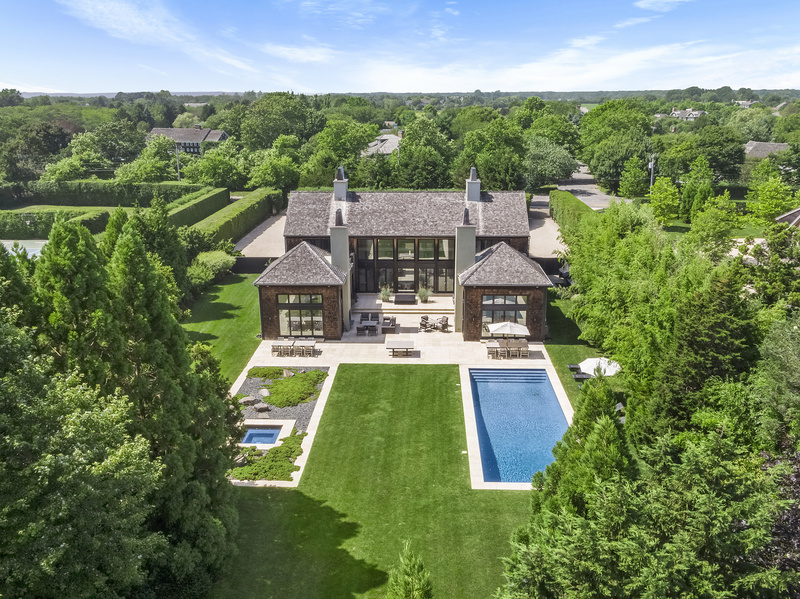 In the past, the phones in Hamptons real estate offices are normally fairly quiet from Thanksgiving to Presidents Day Weekend but this season seems to be the exception. Almost every broker I spoke to this past Martin Luther King holiday weekend was booked all weekend long! In fact, holiday shopping was interrupted this year by east end agents actually having to work!!! Oh the humanity! I’ve heard more than a few theories about why it’s so busy. Maybe it’s the wall street bonuses…. maybe it’s that the Hamptons is growing as a year round destination… or maybe it’s even the Russians (Yes, the Russians are coming, the Russians are coming!!). But personally, I think it’s the fact people have been sitting on the side lines for so long and now they’re reading. Prices are starting to rise and interest rates are still low. So, the question really is why haven’t you bought in the Hamptons already!?! Call me! Finally, I’ve been showing like a mad man lately and I’m shocked I’m encountering expensive homes with a simple problem that’s a major turn off for buyers. So what is it? Damp and smelly basements believe it or not can turn a buyer off a potential dream home faster than you can say “it’s too much work for us.” Many buyers as they see it’s indicator of flooding or mold issues. While that isn’t necessarily true, do your real estate agent a favor and spend the $200 bucks to buy a dehumidifier. It’s not only going to give your home more appeal it might actually help you breathe a little easier as it comes time to sell. A few reasons why you won’t be getting top dollar for your house! So, the news seems to keep improving for the housing market. In fact the premier report of the Hamptons market from Miller Samuel and Douglas Elliman (yeah, I’m a little biased but I’m pretty sure Douglas Elliman is the only firm that hires an outside appraiser Jonathan Miller to compile their report ) showed growth for the east end with all indicators pointing to this momentum continuing into 2013. In fact, it appears to be the best market in about 5 or 6 years. But even with all of this are you sure you’re still getting top dollar when selling your property? Well there are a couple of mistakes I see sellers make over and over again and they can be affecting your bottom line. Hopefully you’ll find my two cents worth more than a couple bucks. 1) Lousy photos – remember the old days where real estate agents would have you primp and prime for that public open house. Well, those open houses are important too but odds are this won’t be the first time the potential buyers will be seeing your house. Most buyers begin their search on the web and when the photos stink, they’re not even going to take the time to see your house in person. If your broker or agent isn’t spending the money to have a professional shoot your house, they’re not the agent for you. It’s amazing to me how some properties even in the 3, 4, 5 or higher range have photos their agent took with their own digital camera. If you don’t believe me, go take a look on HREO.COM, some of those photos are just plain bad! 2) Cruddy Curb Appeal – We all know that updated kitchens and bathrooms will do a lot to help sell a house but if front of the house is a mess, odds are potential buyers won’t even take the time to cross the front door. So, if the paints chipping off the front door , you can easily see the foundation and the ’69 GTO still on cinder blocks in the drive way you may want to reconsider putting your house on the market. 3) Buckets of Clutter – I know you know this and your listing broker probably does too. So, why not listen to them and get rid of all the extra furniture, nick knacks and the piles of pictures. If you’re having a hard time separating yourself from some of your beloved possessions try renting a storage space or one of those “PODS,” and have it take away. I don’t do previews and I’ll get to you when I do!!! 4) The Rock Star Broker – They’re #1 they have 99 listings and they have bigger fish to fry than your “shack”. Now, don’t get me wrong and it’s not sour grapes, there are some really great top brokers out here. They have teams and assistants that juggle all of the balls with team work and could cook a souffle at the same time. The sad truth though is they’re not as common as you think. In fact, I hear it over and over again from other agents across the board, “they refused to let me preview” or “they never return my calls.” Hmmm, even the greenest of agents sometimes hits a home run and sells that zillion dollar property. It’s simple math, the more people that get easy access to your house the better offer. If your broker uses the words “I” and “me” too often, that should be your first tip off. 5) Pathetic Pricing – time but they’re not Don’t make it about you… when you’re pricing your home it’s about the facts and the stats!!! How much will a qualified buyer be willing to pay for your house. Buyers don’t care about home much you paid for it or how much money you’ll need to pocket at the end of transaction. They also don’t care about the custom gilded tub or the fung shui designed rose garden odds are those improvements were done for you and mean little to the potential buyers. I admit it’s not a science and brokers don’t ever really know at what price a home will sell. But they should have a good idea based on recent comparable sales and what’s currently on the market. Remember, sellers typically get the best prices for their property early in the game. So, price it right from the start and avoid aggravation and frustration. As I’ve said before, If you’re friend thinks it’s such a steal at that price, why don’t they buy it??! Finally, the folks over at Designing the Hamptons have identified the location of this years designer showcase house!! So, where is it… you have to click on their link to find out. It’s their scoop and more importantly, I’m so over this designer show houses. You know it’s been done to death when they start doing these in Hackensack N.J. and they HAVE!! I’d rather see someone build and decorate a house with stuff on a budget… say … from Sears…or Home Goods now that I’d pay to see…. MOVE THAT BUS!! !